In May of 1974, Bruce Springsteen performed a show that is considered to be a watershed moment in his career. Having released two albums to date with minimal sales success, he was in danger of being dropped by his record label. Barry Schneier, having seen Bruce Springsteen perform locally in Cambridge, Massachusetts, suggested to concert promoters, Windowpane Productions, they consider booking him for a show. This chance encounter would lead to Bruce and the E Street Band opening for Bonnie Raitt at the Harvard Square Theatre on May 9th - a show which previously was planned with no opening act. 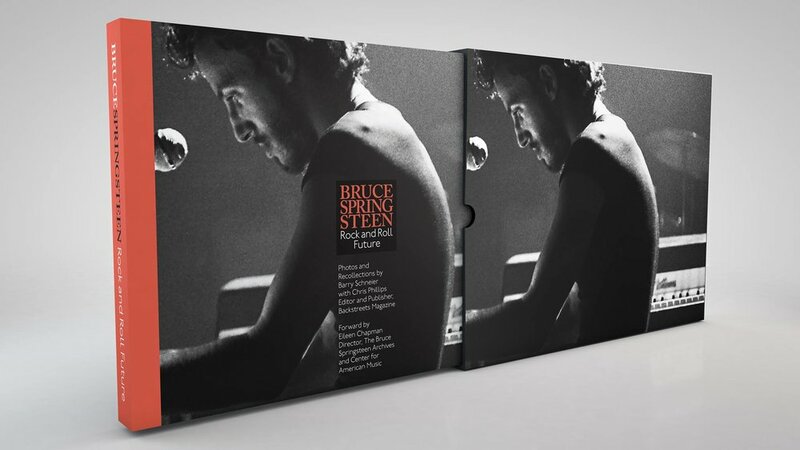 In the audience that night was Jon Landau, a music critic for “Rolling Stone” magazine and Cambridge-based “The Real Paper.” What Jon witnessed that night, and would write about afterwards would alter the trajectory of Bruce’s career forever, as well as his own. One line in Landau's review— perhaps the most famous concert review of all time — would reignite support for the artist as it was emblazoned in ads and repeated in the press: “I saw rock and roll future and its name is Bruce Springsteen." PRE ORDER BOOKS HERE FROM BACKSTREETS! Barry’s images and personal perspective on that night comes from a point of view to which no one else can lay claim. After numerous requests to tell the stories behind the photos, Barry has teamed up with Chris Phillips, founder and editor of Backstreets Publishing, to produce a hardcover book that will serve to be the defining record of that evening. The 150-page, richly designed narrative and photographic journey through that historic night, feature’s Barry's personal recollections, along with both color and black and white images of the evening. Also contributing to the narrative are three of the original members of the E Street band, Garry Tallent, Ernest “Boom” Carter, and David Sancious.